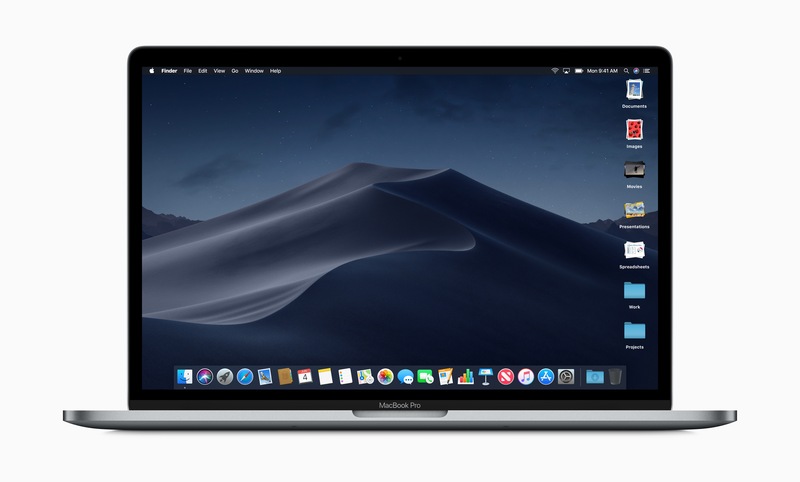 During its WWDC keynote presentation today, Apple took the wraps off macOS 10.14, also known as Mojave, which will be released this fall. 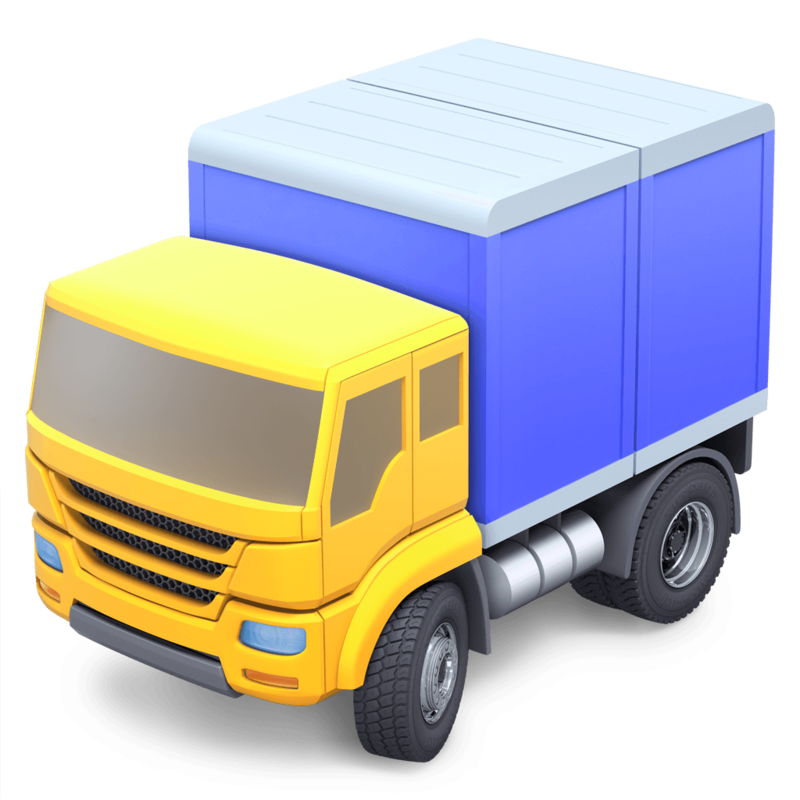 One of the marquee features of the update is a completely redesigned Mac App Store, which we will cover in a separate article. 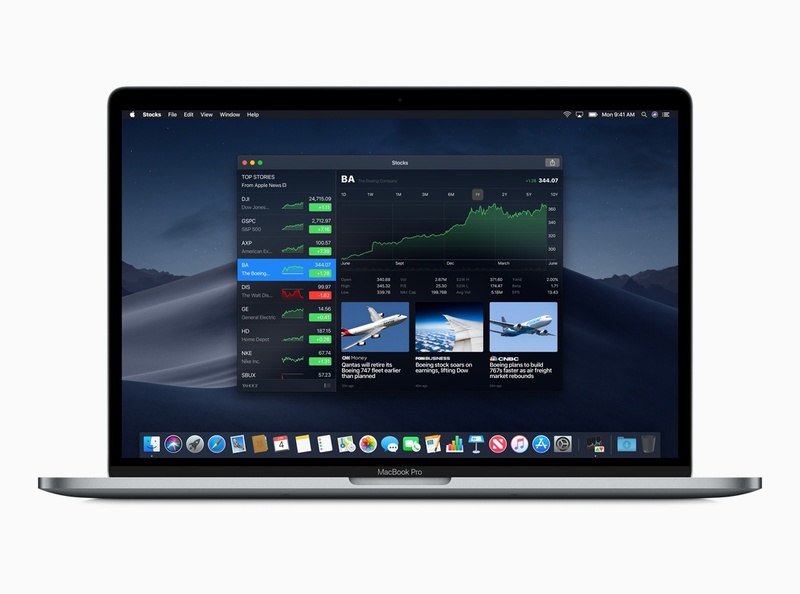 In addition to a previously-leaked Dark Mode, the update will also include Finder, screenshot, and Desktop updates, the addition of several apps previously-available only on iOS, which Apple ported to the Mac using new frameworks under development for release in late 2019, and other new features. Apple announced a system-wide Dark Mode, a feature rumored and requested by Mac users for years. During the keynote, Apple showed off Dark Mode with apps like Mail, Messages, Maps, Calendar, and Photos. A developer API will be available so dark mode can be added to third-party apps too. Apple also added a related feature called Dynamic Wallpaper, which adjusts users’ wallpaper according to the time of day. During the presentation, Apple showed off a scene of the Mojave desert as it transitioned from a sunlit day to nighttime scene. The Finder added a new Gallery View that appears to have replaced CoverFlow. The view allows users to see large previews of files in the finder window, which also has a right-hand side panel reserved for metadata and Quick Actions. The metadata panel displays much of the information that is available from the Get Info command on earlier versions of macOS. The feature was demonstrated with previews of image files, a place where surfacing metadata should be particularly useful. Quick Actions are contextual buttons that sit at the bottom of the metadata side panel. Apple demonstrated a rotation Quick Action with an image file and mentioned that they could also be used to crop images, create a PDF from multiple images, and password-protect PDFs. Users can create their own Quick Actions too, incorporating Automator. Craig Federighi demonstrated an Automator-based Quick Action that watermarked several of photos. Quick Look gained new features too. Markup features similar to those available on iOS will allow users to markup images and PDFs and are also available when taking screenshots and in the Finder. Users will also be able to use Quick Look to sign PDFs, rotate and crop photos, and trim video without opening an app. Screenshots got some attention in the keynote as well. On-screen controls are available to access every screenshot option, many of which were previously available only via keyboard shortcuts. Apple is adding screen recording, and sharing will no longer use the Desktop as an intermediate storage location, reducing Desktop clutter. The Desktop received another clutter-clearing feature called Stacks that takes files on your Desktop and organizes them into stacks along the right-hand side of your Desktop. Users can customize how Stacks are organized by metadata like file type, date, and tags. Apple announced that News, Stocks, Voice Memos, and Home are coming to the Mac with Mojave. Each of the apps bears a striking resemblance to their iPad counterparts. 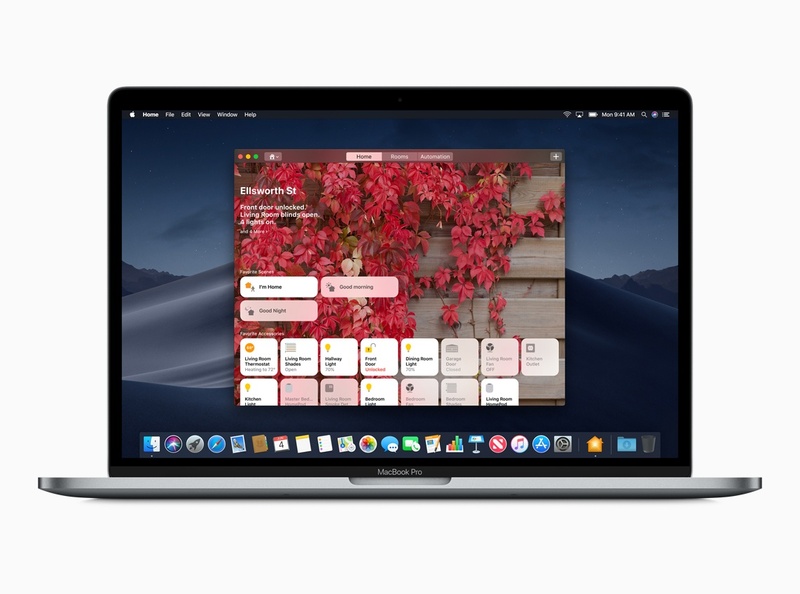 The reason was revealed late in the keynote when Apple said that it is working on new frameworks to let iOS developers bring their apps to the Mac beginning in late 2019. Apple said that News, Stocks, Voice Memos, and Home were all added to Mojave using the upcoming frameworks. The apps take different approaches to controls like tab bars that aren’t used in macOS. In News, the tab bar is replaced by a left-hand side panel. Home replaces its tab bar with a segmented control in the app’s toolbar. Stocks, which is navigated by swiping between panes on iOS, has separate panels for each of the iOS panes. Finally, Voice Memos, which is a single-screen app on iOS moves the list of recordings from the bottom of the screen to a left-hand panel on macOS. Apple News debuted in iOS 9. The service has improved significantly with each subsequent iteration of iOS and is now coming to the Mac. First leaked as an icon in the Dock of an Xcode 10 preview video discovered by Steve Troughton-Smith, the app incorporates roughly the same functionality and shares a similar UI with its iOS counterpart. sections called ’Today,’ which is similar to the ‘For You’ tab on iOS, ‘Spotlight,’ which presumably will mirror the tab of that name on iOS, followed by a list of topics and channels, which are similar to what is in the ‘Following’ tab on iOS. It’s not clear what has become of News’ ‘Search’ and ‘Saved’ tabs in Mojave. Stocks will receive an update on iOS and macOS. The Mojave version of Stocks closely follows the iOS version, including the addition of news from the Apple News app, sparklines, and new and improved charts. From the screenshots shared during the keynote, Home and Voice Memos on Mojave appear to be almost identical to their counterparts on iOS in terms of functionality with layout adjustments to accommodate the Mac’s windowed environment. Like iOS, FaceTime is gaining group functionality. Users can join using video or audio-only on their Mac or an iOS device. The Apple Watch will also support the feature but will be audio-only. As on iOS, the size of a person’s video chat view depends on their activity in the conversation with larger views identifying more active participants. Continuity Camera is a new feature that will let users take photos and scan documents with an iOS device's camera and have them appear almost instantly in documents on their Mac. 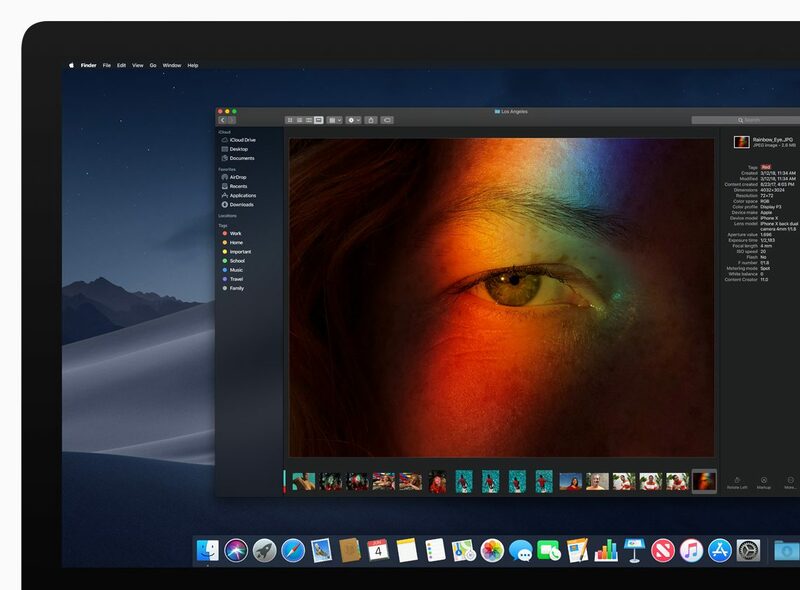 During the keynote, Craig Federighi demonstrated both features, which should make inserting images and documents into a Mac app easier than trying to use the Mac’s camera. Mojave will add new security and privacy functionality too. 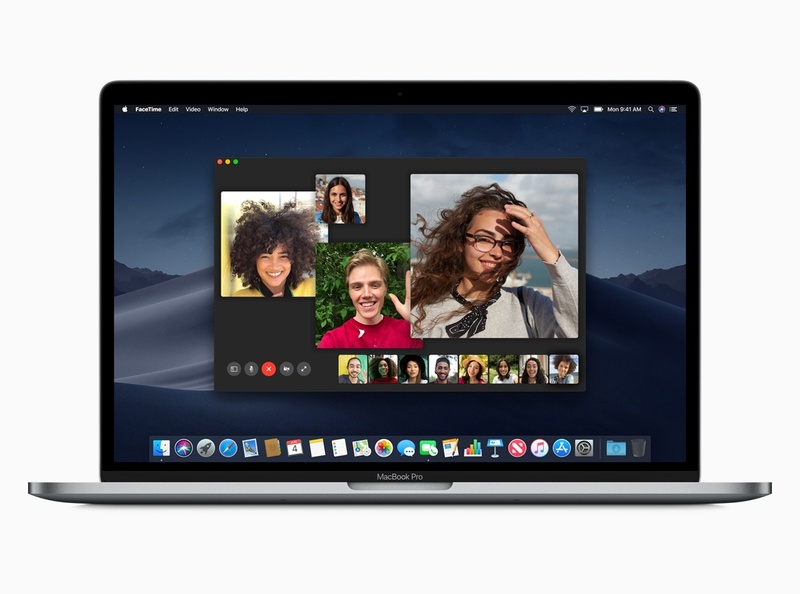 The updated OS will include new protections for how apps access data from the camera and microphone as well as users’ Mail and Messages database. Safari will also gain new defenses against tracking. Data miners can use unique characteristics about attributes of users’ Mac hardware and OS to identify them. 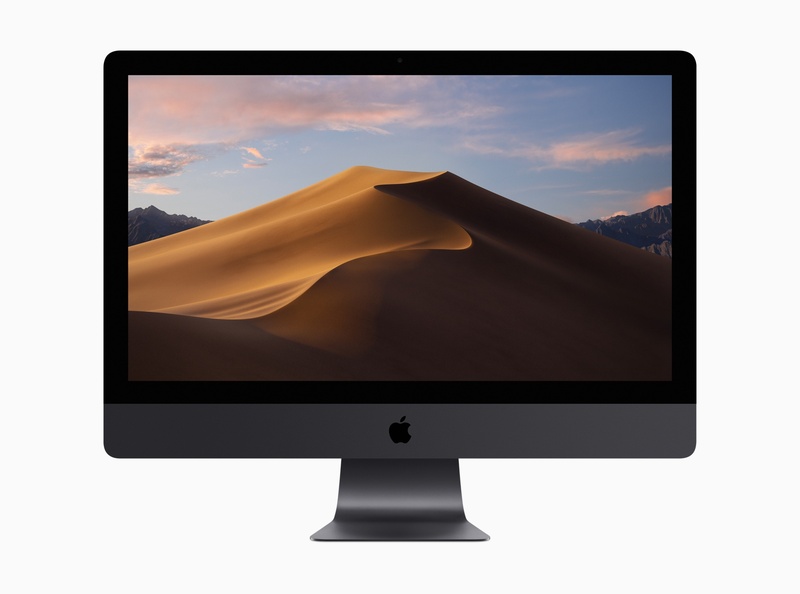 The technique, called fingerprinting will be more difficult under Mojave, which will report more generic hardware and software characteristics than in the past. Mojave will include warnings for users when they interact with comments or social media widgets on sites in Safari. The widgets, which can be used to track users, will no longer be able to do so without user permission. Also, when a new online account is created, Safari will create, store, and autofill strong passwords and warn users of reused passwords. 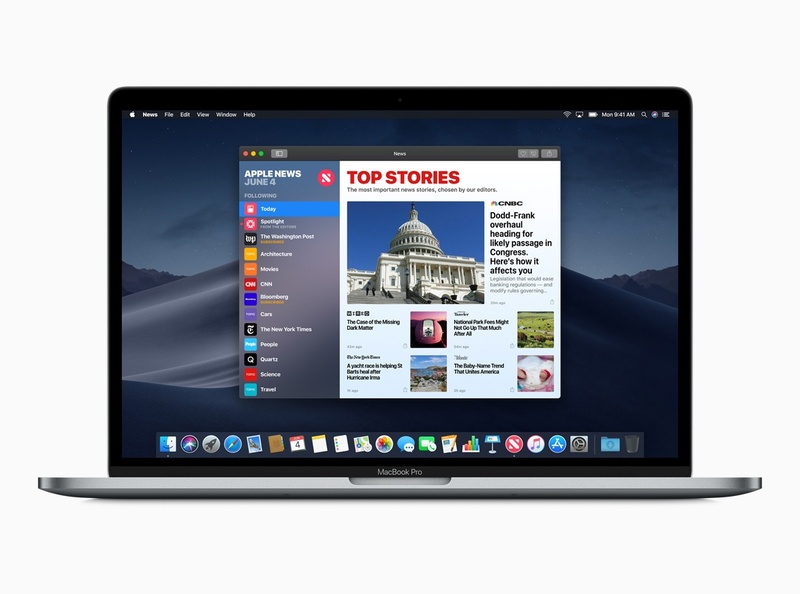 Mojave promises to add a solid collection of features to the Mac that will make everyday tasks easier than before, but most interesting is the demonstration by Apple of what will be possible next year when third-party developers can bring iOS apps to the Mac as Apple has done with News, Stocks, Home, and Voice Memos.